Summertime is family time for the First Family at Walker’s Point. Ronald Reagan spent his vacations in seclusion on a ranch in California. 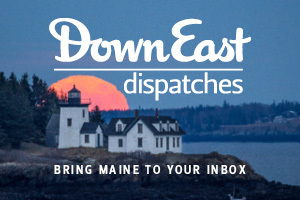 When George Bush takes his holidays, however, it’s in a location and style strikingly similar to that of a Democratic predecessor of a quarter-century ago. Not since the Presidency of John F. Kennedy has the American public been treated to the spectacle of a vigorous, athletic President playing with young children on the grounds of a family summer compound. 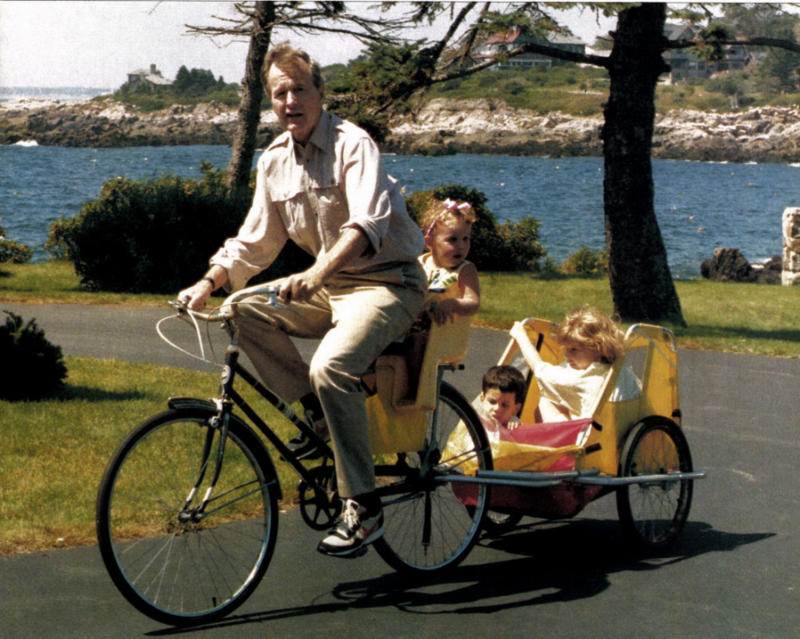 In the case of President Bush, of course, the children are not his children but his grandchildren. 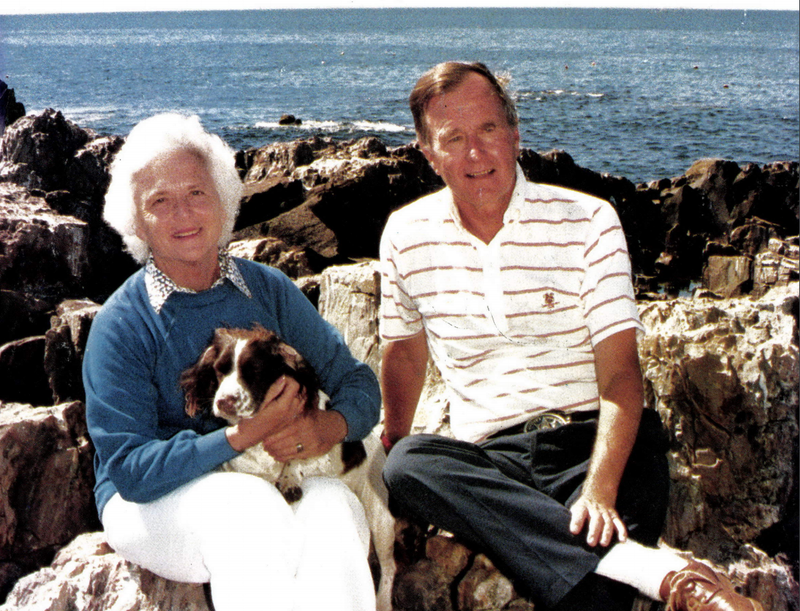 Even so, the similarities between Presidential vacations at Kennebunkport and Hyannisport are striking, although one suspects that the day-to-day activities of Barbara Bush and Jackie Kennedy Onassis would have little in common. 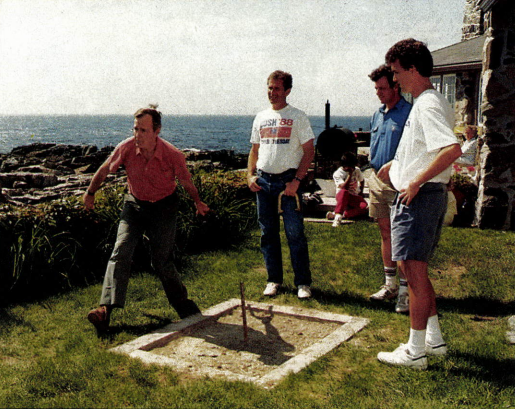 The Bushes’ life in Kennebunkport at the rambling Walker’s Point summer estate, which they bought from the President’s aunt nearly 10 years ago, is informal and highly visible. Sporting activities of all kinds, from tennis and swimming to boating in the President’s high-powered Cigarette speedboat, fill the days from dawn to dusk. And children (the Bushes have five married children and 11 grandchildren) are everywhere. 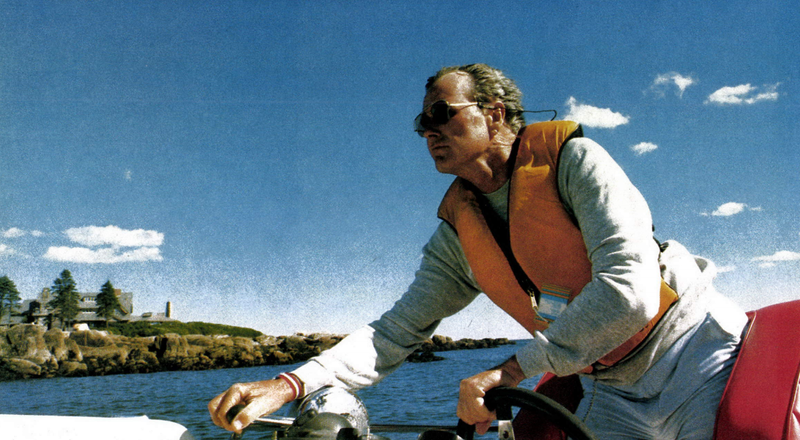 George Bush takes obvious pleasure in ownership of the family summer estate, built by his grandfather at the turn of the century and carefully restored by him and Barbara. To accommodate the crush, the Bushes converted the top floor of the staunch old stone and shingle summer house into a children’s dormitory. The turn-of-the-century cottage is known as Surf Ledge, after the rolling seas which sometimes batter the point with such force that they have nearly destroyed the house on at least two occasions over the years. 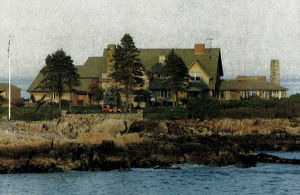 Extensively remodeled after the Bushes purchased it, the building now has fifteen rooms, including six bedrooms and baths. 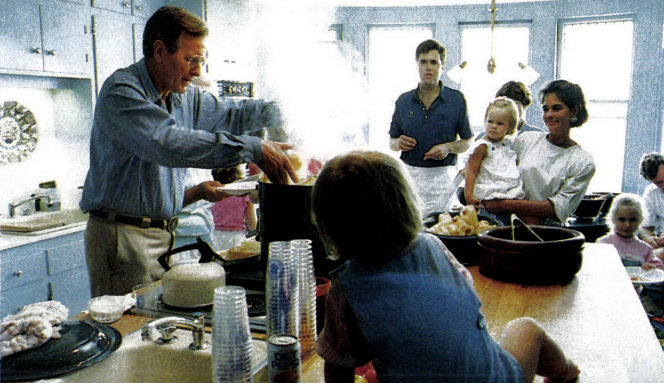 Mrs. Bush describes the decor of the place as “hodgepodge — three houses of furniture put in one, no antiques, 15-year-old slipcovers — a house grandchildren are more than welcome in.” For the President, who makes a point of involving himself with the town whenever he can — even to the point of underwriting a Fourth of July fireworks display — summers at Walker’ s Point are a return to his roots and, as the photographs on these and the following pages show, it’s a process he enjoys to full measure. 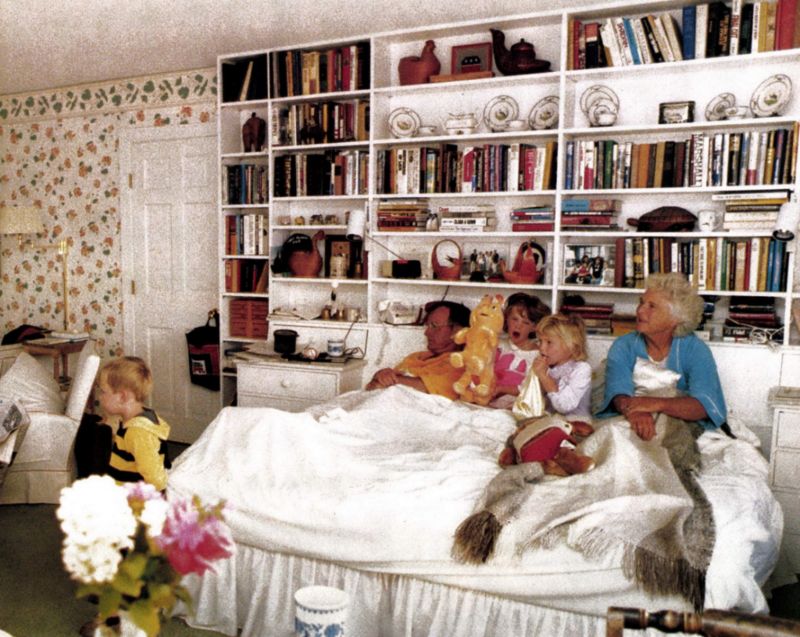 A before-breakfast visit in the master bedroom, one of only three rooms in the vast house that are heated for year-round use, affords a chance to read the newspapers and to discuss activities planned for the yarious generations that day. 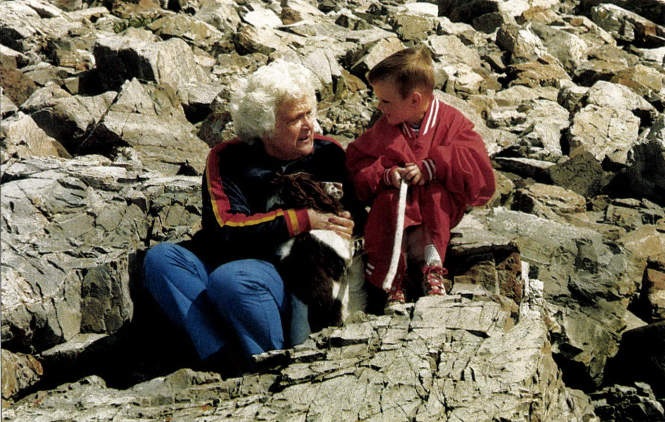 Barbara shares a confidence with a grandson on the rocks below the house. 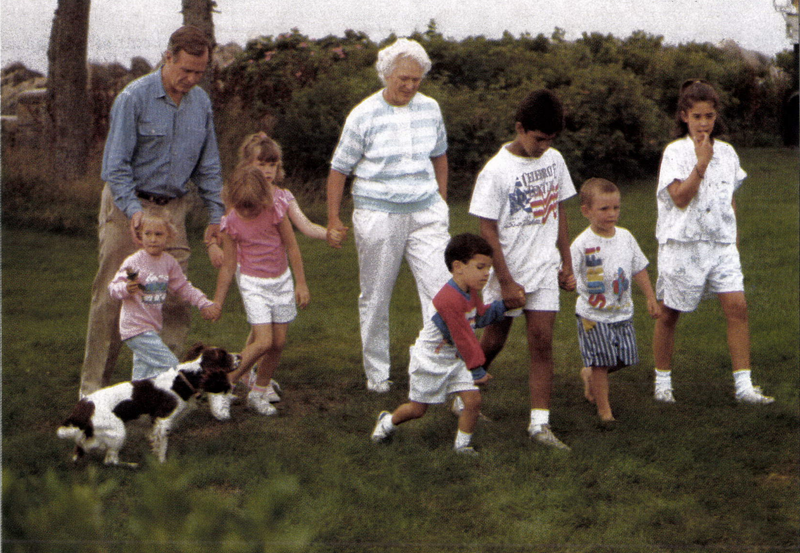 Frolicking about the grounds with his grandchildren and the First Lady. 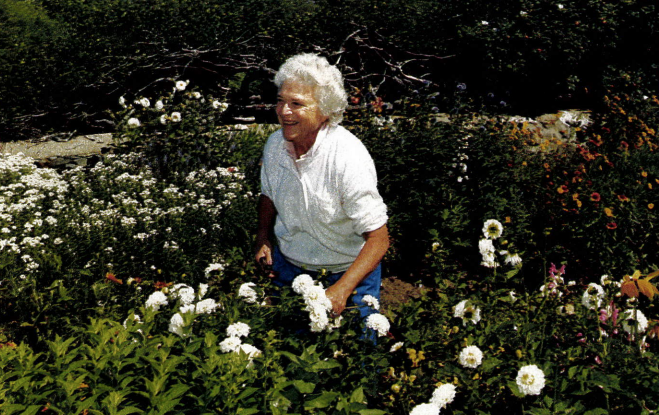 Barbara disclaims any special expertise at gardening but spends hours happily working on what she calls her "therapy." 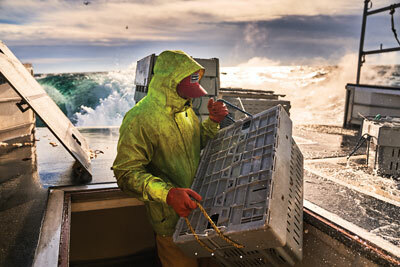 Whether presiding in the kitchen or gunning his 15-year-old speedboat, the President goes at it with gusto. 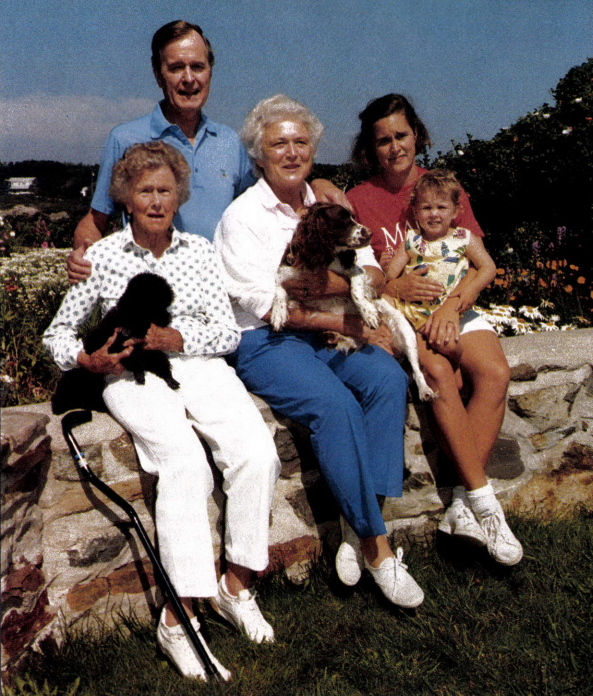 Four generations pose on a stone wall: Dorothy Walker Bush, the President's mother; Barbara, with her spaniel, Millie; and daughter, Doro, holding her daughter, Ellie. 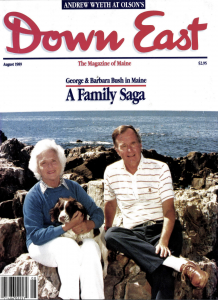 Read our previously unpublished interview with President George H. W. Bush.